Steven P. Fetterly : Born in 1934 and now in Independence Missouri, joined the Navy through the Naval Reserve at the age of but fifteen in 1949. I served nearly all of my 20 plus years of service time with the Fleet Marine Force. The years of exception were from that of my first enlistment …as Machinist’s Mate through Striker … until 1951, when my MOS changed to that of Corpsman. In 1952, I was assigned to Camp Lejeune’s hospital. Thereafter I was at different times assigned to still more duty with the 2nd MarDiv, Quantico’s Air Wing detachment, the Naval Air Station at Naha, Okinawa and the 3rd MarDiv’s Camp Schwab, also in Okinawa. While serving with the 3rdMarDiv in Vietnam, I did stints with VP-47 and some time later with VP-50. In 1974, I retired from active duty and remained attached to the Fleet Reserve until 1980. All told, I served from 1949 to 1980. And while I’m now 78 years old, I feel confident I could still pass the old Navy fitness test, as I’ve no problem practicing Bulgarian style weight lifting with kettle bells, carrying my now 188 pounds at 18-20%. Until it closed shop, I was the Missouri Commander of the Association of American Veteran’s That Enlisted Underage. And, even now I frequent the Marine and Navy recruiting offices and serve on the Honor Guard. In 1965, while serving in Okinawa, I married and remain so to the same wonderful woman. And we’ve two wonderful children. After leaving the Navy I worked my way up to foreman at a trucking firm and in 1982 bought my own truck and drove it until completely removing myself from the labor/business arena in 1985. Life’s been good and I’m here to prove it. Semper fi to all those Marines and Corpsmen I’d served with over those many years of the last century. Drop me a line at 16601 East Third Street, Independence, MO 64056-1623 or s.fetterly@att.net. Kenneth J. Skipper : [ Editor's Note: The former Captain and Company Commander of G-2-6, after a long and distinguished career, left the Marine Corps as a Major in June 1972. I thank him for his long and exemplary service to his country. Born 1928 in Galveston, Texas, I was raised in Mobile, Alabama. In 1946, I enlisted in the Marine Corps for the first time, did the usual stint in Parris Island and was immediately transferred to China to serve in various units until discharged in May of 1948. Returning stateside, I entered Spring Hill College, in Mobile, served with the Army ROTC while attending, graduated with a degree in history, reentered the Marine Corps in 1953 and began six months of training at the Officer's Basic School in Quantico, Virginia. That done, the Corps in late '53 shipped me off, first, to Japan for but a few months and then, until 1955, to Korea. With no complaints, I'd spent four of my split five Corps' years in the Orient and it was time for some CONUS duty time. In Mid-'55, as a recently promoted First Lieutenant, I was assigned to MCRD, Pendleton, California for three years. Thus it was that I served first as Aide to General Bowser, who was instrumental in establishing safeguard and oversight standards for west coast recruit training following the 8Apr56 drowning of six Parris Island recruits. Later, I would serve in the then newly established capacity of "Series Commander" overseeing the ongoing training operations of Marine recruits. By 1958, I was once again transferred, this time to the infantry and H&S Company, 2nd Battalion, 6th Marines at MCB, Camp Lejeune, North Carolina. There, in little more than year, the 2nd Batt-6th had sailed and landed in Lebanon, did a six month stint in the Med and, with myself as Operations Officer, a St. Lawrence River "cruise" to Lake Erie, with landings in Chicago, Cleveland, Rochester, Milwaukee and more. In August 1959, I was given command of G-2-6, met with Division Staff and discussed the specific objectives, training and logistical requirements for Solant Amity I. Designed and initiated by the then Chief of Naval Operations, Admiral Arleigh A. Burke, SoLantAmity had something of a three fold purpose. First; it was to "show the flag" during a time when so many of the West African nations were obtaining their independence from their European protectors. Second; we were to provide something akin to American "police presence," as much of the region was subject to communist influences and, particularly in the Congo, revolution. Third; we might have been needed to protect American lives, political and economic interests. To accomplish these things, the Navy had its part to play: transport and provide new flags. The Marine Corps was to furnish the young men and armament required of a "police force" to protect American interests and provide the tip of some greater military spear should it become necessary. And, to that end, I set to finding and securing personnel, training and equipment I deemed necessary to fulfill those obligations. Personnel were handpicked and interviewed by myself and the Company brought to T.O.. The latter providing a "no promotion" environment for the duration of the assignment to G-2-6. Stateside training incorporated some elements common only to Recon, such as familiarity with parachute landings and ever memorable inflatable craft exercises at Onslow Beach. After mounting out and arriving in Viegues, extensive and intensive weapons and tactics training became the order of every day. This done, G-2-6 set to sea, ready for whatever we might encounter. Fortune smiled upon us. None of the negative imagined scenarios occurred and SoLantAmity I became and remains a positive and memorable experience for all hands. Returning to CONUS in May 1961, I was one month later reassigned to Pickle Meadows, in the High Sierra Mountains of California. There I served in a variety of executive and commanding positions in the Cold Weather Survival, and Mountain Leadership Programs as well as Camp Operations Officer until 1963 at the Marine Corps' Mountain Warfare Training Center(MCMWTC). Thereafter, I was transferred to the 1st Marine Air Wing, assigned to its G-1, promoted to Major and remained until 1964. Clearly, I was acquiring broad experience with a wide range of Marine Corps offerings. And it was time to share some of them and their impacts upon me over my, then, twelve years in the Corps. In 1964, I began what was to be three years at the USMC Basic School, in Quantico, Virginia. And, while there, I served as an Instructor, then Executive Officer and lastly as the Commander of the Basic School's H&S Company until November of '67, when transferred to and assigned as Operations Officer for Headquarters Unit, 1st Marine Division...Vietnam. In March or April of'68, following the Tet Offensive, I was once again reassigned, this time as Executive Officer of the 1st Battalion, 27th Marines, located in north central Vietnam's Quang Nam Province which extended from the South China Sea on the east to the Laotian border. By June, I had become the Commanding Officer and remained so until reassigned as executive officer of the 3rd Battalion, 3rd Regiment of the 3rd Marine Division in February 1969. After some twenty months in Vietnam, I returned to CONUS to serve with the Division of Reserves in Washington, D.C. for a year. In August '70, I began an eighteen month stint in Okinawa, returned to the U.S. in 1972 and retired from the Corps that June. The twenty-one year adventure begun in 1946-48, renewed in 1953 had come to an end. In retirement, I tried my hand at teaching Government and History for the local school district for a year, changed direction in 1973 and began working in the Marketing Section of what is now Regions Bank, retiring-from it in 1993. And now? Well now, I'm enjoying the fruits of my many labors over the years. With a full social calendar, the occasional and appreciated contact with the souls of my past and the required exercise provided by four days of golf a week, I'm enjoying it all along with the many fine memories of the past. Not being on the internet, I ask that you reach out and snail mail me at 3713 Claridge Road [South] in Mobile, Alabama 36608. Semper fi to you all. Solant Amity I truly made for an exciting six (6) months. There was never a dull moment. From the equator crossing at sea initiation to the “recapture” by a USN destroyer with a platoon of Company G Marines embarked of a high seas “piracy” of the SANTA MARIA, a sleek Portuguese liner; to crossing the equator eight (8) times to include zero-zero latitude-longitude making the crossers royal shellbacks; to an amphibious landing from the sea over the beach utilizing Navy amphibious ships with embarked Marine helicopters, Marine surface amphibious landing craft and Marines at Monrovia, Liberia to another like landing at Cape Town, South Africa witnessed by some 30,000 spectators; to navigating an LSD and LST up the Congo River over 50 miles to the port of Matadi conducting a UN troop evacuation of Guinean military troops from the Congo returning them to their home country at Conakry, Guinea; to a Company G honor guard in Monrovia, Liberia for the President of Liberia. What was particularly noteworthy was the conduct and performance of the embarked Marines. At no time in the six (6) month deployment did we have an embarrassing situation ashore, thus fulfilling our people to people mission of spreading good will and friendship with each Marine being an ambassador for his country in the African countries bordering the west coast of Africa when old colonial powers were being replaced with new nations with a choice between communism and the democratic way of life. In a unique Navy Marine Corps team assignment, the individual Marines distinguished performance upheld the highest traditions of the Marine Corps and the United States Naval Service. Lieutenant Colonel Merrill A Sweitzer, Jr. was born on February 20, 1935 in Oval (Jersey Shore), PA. He graduated from the JerseyShore Area School District in 1953 and entered Lock Haven University, LockHaven, PA graduating in 1957 with a B.S. degree in Education, winning 46 consecutive track races and States in the mile in 1956 and 1957. He was commissioned a Marine Second Lieutenant in December 1957, marrying his high school/college sweetheart on December 28, 1957. He completed the 20th Officer Candidate School (OCS) at the Training and Test Regiment, Quantico, VA. and entered The Basic School (TBS) at Camp Barrett, Quantico in January 1958 (BC1-58). 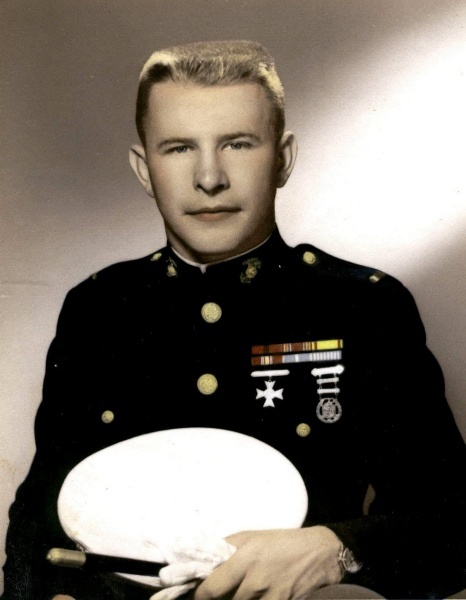 Upon completion of 32 weeks of school (Sept. 1959), he was assigned to the 2nd Marine Division, FMF, Camp Lejeune, North Carolina where he was a rifle, weapons, mortar and 106 recoilless rifle platoon leader. In July 1959 he was promoted to First Lieutenant (01). From November 1960 to May 1961 he was the Executive Officer of Company G, 2nd Battalion, 6th Marines during SOLANT AMITY I, a six (6) month good will deployment on embarked US Navy ships to Africa. From June to October 1961 he was the 2nd Battalion, 6th Marines Training Officer (S-3) in charge of rifle requalification with the battalion winning the Commanding General’s Markmanship Trophy. On October 10, 1961 he was commended for his performance of duty as Battalion Training Officer by the Battalion Commander. He was aide to the Commanding General’s 2nd Marine Division Berkley and Weisman from Oct 61 to Sept 62. During this period when Major General Weisman was the Commanding General, the 2nd Marine Division, conducted an amphibious landing over Onslow Beach near Risley Pier. This demonstration incorporated the Navy Marine Corps Amphibious Assault doctrine and the Marine Air/Ground Team tactical concept. The presentation was for President Kennedy and Vice President Johnson. Many Washington dignitaries including the Joint Chiefs of Staff accompanied the President and Vice President. He was promoted to Captain (03) in July 1962 and was assigned to the USS Hunley AS-31, a polaris submarine tender, in September 1962, home ported in Holy Loch, Scotland as the Commanding Officer of a Marine Detachment of 26 Marines for 25 months. On June 9th, 1964 he received a commendation for outstanding performance by U.S. Navy Commander Submarine Forces, U.S. Atlantic Fleet. In November 1964 he was assigned to The Basic School (TBS) Marine Corps Schools, Quantico, VA where he was a Staff Platoon Commander of Second Lieutenants and a tactics instructor. From February 1967 to July 1967 he was a student at the Amphibious Warfare School (AWS), Marine Corps Schools, Quantico, graduating in July 1967. He was promoted to Major (04) in June 1967. Deploying to Vietnam in September 1967, he joined the 1st Marine Division Reinforced, FMF. From Sept 1967 to Sept 1968 he was Executive Officer and Acting Battalion Commander of the 1st Battalion, 7th Marines and the Regimental Logistics Officer (S-4). He participated in the TET Offensive. In September 1968 he was assigned to the Naval Reserve Officer Training Unit (NROTC), Miami University, Oxford, Ohio as the Marine Officer Instructor (MOI). In August 1971 Miami University presented him with a Masters Degree in Education Administration (MED). He was a member of the University faculty holding the academic rank of Associate Professor teaching a three (3) credit course titled “the evolution of the art of war”. In August 1971 he returned to the 2nd Marine Division, Camp Lejeune, NC where he was the S-3 of the 6th Marine Regiment and the 34th Marine Amphibious Unit (MAU) and G-3 8th Marine Amphibious Brigade (MAB) for the NATO training exercise DEEP FURROW 1972, receiving a commendation from Commander Sixth Fleet. Returning from the Mediterranean Sea six (6) month deployment, he was assigned to the 2nd Marine Division G-3 as Assistant Operations Officer for Colonel Alfred Gray who later became Commandant of the Marine Corps (CMC). On May 2, 1973 he was commended for his performance as Joint Opposition Forces Ground Operation Officer for exercise EXOTIC DANCER VI. The Major left the 2nd Marine Division in August 1973 and was assigned to the Armed Forces Staff College, Norfolk, VA as a student graduating with distinction in January 1974. He then was assigned to Headquarters Company, Marine Security Guard Battalion (MSGBN), Headquarters Marine Corp (HQMC), Arlington, VA and served as a United Nations Military Observer (UNMO) from Feb 1974 to Feb 1975 assigned to the United Nations Outpost, Tiberias, Israel reporting cease fire breaches in the Israel/Syria cease fire sector on the Golan Heights and as Operations Officer of the Tiberian Control Center receiving a commendation from the Chief of Staff, UNTSO. He was promoted to Lieutenant Colonel (05) in July 1974 and completed the Marine Corps Command and Staff College Extension Course November 1974. From there Colonel Sweitzer was assigned to Company B, Headquarters Company, HQMC, Arlington, VA April 1975 where he was assigned to the HQMC Plans and Policy Division, Western Regional Branch as an Action Officer on the Middle East/African desk dealing with Pentagon military issues pertaining to these geographic regions. On June 30, 1978, Colonel Sweitzer retired from the Marine Corps for family reasons. His personal decorations include the Legion of Merit Medal with combat “V” for valor and a gold star in lieu of a second award, Purple Heart Medal, Navy Commendation Medal, Combat Actions Ribbon, two (2) Presidential Unit Citations (PUC), one Meritorious Unit Citation (MUC) and the Vietnam Campaign Ribbon with four (4) stars. 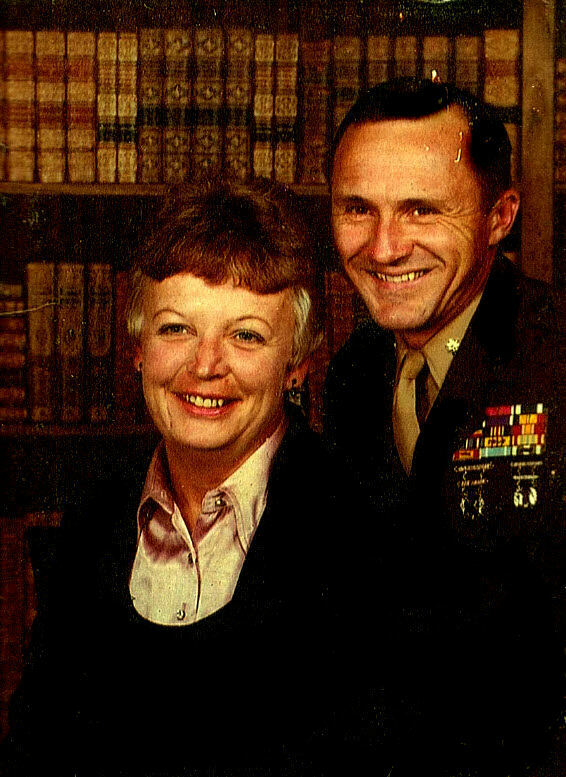 Lieutenant Colonel Sweitzer is married to the former Helen Therese (Terry) Lauler (deceased April 30, 1981), the daughter of John and Ruth Lauler, M.D. of Jersey Shore, PA and has seven (7) children: John, Terry, Tim, Dave, Mike, Andy and Doug. Terry, Tim, Mike (CH-46 Pilot) and Doug were Marine Officers. After retiring from the Marines Colonel Sweitzer and his family moved to State College, PA (home of Penn State University) in July 1978. Here he was employed by the State College Area School District (SCASD) as the Director of Physical Plant until 1998. Retiring at the age of 63, after 20 years of military service and 20 years of service to the SCASD, he currently is residing in the country in an “old” country home on 11 acres of land near Salladasburg, PA where he is enjoying hunting, fishing, gardening, wild life photography, reading, children, grand children and morning coffee/breakfast with the local folks. "Coffee/breakfast with the folks." Ahh, if it were so. As seen in the tidbits to the left and right about our man...there remains no moss beneath the feet of our old Executive Officer. 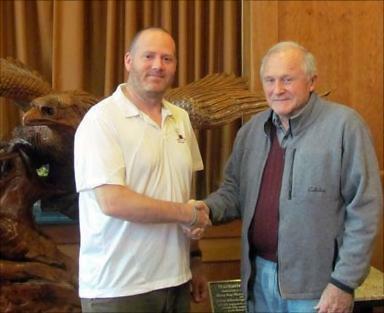 On 1 November 2012, our life-long giver established a Track & Field Scholarship Endowment at Lock Haven University, in Pennsylvania, his long ago alma mater. "Ah, ha! And now we know the rest of the story," writes former Pfc. Archie Fuller. "Back in the day, and before becoming the company's Exec, the then Lieutenant Sweitzer commanded our Weapons Platoon and had the reputation for running us into the ground so frequently and ardently that he acquired the nickname "Fleetwood," after the then much prized Chevy Fleetwood. "Well, there you go. It's taken more than fifty years to learn the source for his enthusiam for running...and our consternation. "Well done Colonel, both then and now for having established the Track & Field Endowment." John R. Svendsen: Born in 1941 to a short lived marriage, I was raised along with my twin sister and brother in Brooklyn, New York’s Red Hook section by a single mom. Early in life I acquired: an interest in the outdoors, the survival measures necessary in both the streets of an urban environment and the woods provided by Boy Scout training, and a decidedly “you’re on your own, Mac” attitude. Strongly independent throughout my life, when seventeen and after reading Leon Uris’s “Battle Cry” I chose to leave school and join the Marine Corps. Initially stymied by my mother’s refusal to sign the early enlistment papers…after three months of my cutting classes at Boys High in Brooklyn’s Bedford-Stuyvesant community, one of the city’s grander liberal arts high school in both academics and sports at the time.…mom reluctantly accepted my decision, signed the papers and off I went to Parris Island Platoon 223-59 on 24Mar59. For the beginning of the rest of my life. Enthralled with the idea of becoming a Marine of Uris’s liking, I arduously addressed learning skills of the trade. Always fond of the outdoors, I ate up all that boondocks stuff, knowledge of weaponry, its uses and the prospect of adventure. Not so much to my liking: make-work programs and the extreme…almost senseless efforts…to just keep our idle hands busy. And, being a teenager with teenage interests and “attitude” wasn’t much help in putting any of it in perspective. Remembering “Spanish Joe” and “Ski” and others from “Battle Cry;” well, there just had to be more irreverence, adventure, excitement and non-conformity amidst the regimen. Right? So, a lot of the time, I tried doing things like Sinatra would...my way. A usually costly choice in the Corps. Yet, at journey’s end, after three office hours and still more threatening experiences of same, being busted twice and for the longest time having an astonishingly low average Conduct score of just above 2.0, I somehow regularly managed to pull a near 4.0 proficiency grade…leaving the Corps as a Lance Corporal with a Good Conduct Ribbon! Go figure. Following PI, like all, I was sent to Camp Geiger. Unlike all, I was detailed to a mess hall for thirty days of mess duty before being assigned a company of the Infantry Training Regiment. A rather unkind gift, I thought, for one only recently a graduate of the world’s renowned school of the killer elite. But, eventually I got around to doing the things done at ITR, boarded a cattlecar and bussed on over to Camp Lejeune’s H&S Company of 2nd Battalion, 6th Marines. Whoa! “Wait a minute,” says I, “I’m being assigned to the same unit Leon Uris served in during WWII?? !” He’d been in Communications. I was to be a Mortarman (MOS 0341.) My Gawd, what would Batman have to say about that? The following year and a half saw me learning my trade as a mortarman and basic infantryman. The platoon commander even saw to it that we took MCI courses on military subjects. In addition, H&S members would be distributed amongst different units of the 2nd Battalion when taking part in exercises both on the base and when taking part in four to five different cruises to the Caribbean. As a result we were exposed to other elements of the infantry experience and served on various ship types: AKA, LST, LSD and the LPH USS Boxer during those fifteen months. I was, for example, attached to “E” Company during the Cold Weather Training episode of January-February 1960 and remember well pulling another near month of mess duty, unofficial company punishment for purchasing White Lightnin’ from local mountain folk and selling it to the troops, and too climbing that damn Mount Mitchell until the wee hours of the morning with a mortar plate, full field pack and cold weather gear. Then came Solant Amity I. Not exactly volunteering for the venture, I have to say it provided the very best six months I served in the Corps. All those countries that few ever get to see. All those really great liberty opportunities in places like Trinidad, BWI, Recife, Brazil and Cape Town, SA. And, between ports, while at sea I remained out of sight, with little to no oversight and stayed more squared away than anyone aboard, officer or enlisted, as the sole employee of the mid-0800 watch in the ship’s laundry…with access to the galley, fresh baked bread, coffee and the opportunity to rack out after my “watch” in the laundry. Of course, those opportunities on base, on board and abroad also provided for some of the less savory adventures of my four years and frequent moves up-and-down the promotion ladder, barely keeping but one stripe away from the brig. Explaining that I’d “already acquired those skills” and wasn’t looking forward to “sharpening them further,” the Gunny in apparent disgust with my attitude ordered, instead, that I provide security at a Pentagon post behind Arlington Cemetery near Fort Meade. “Ooorah!” said I…and remained there until released from active duty in March ’63 as a Lance Corporal. Returning to New York, I went back to those things with which I was most familiar, including work. I was, first, able to find a job with my old employer, Ken Hiberg at Brooklyn Press, a man that had been my mentor and Big Brother since I was 12. My first marriage lasted for a few years, the birth of two children…a son and daughter, the latter having since given me a grand-daughter…and a divorce in ’67. I married again about a decade later. It lasted two years. And, though still in touch, I’ve not since that break-up considered marriage as one of my life’s viable alternatives. While working in sales, I took a few community college courses in merchandising and business and later turned to the restaurant industry where I spent most of the next two-and-a-half decades working and acquiring a few bad habits, the worse of which being narcotics related. 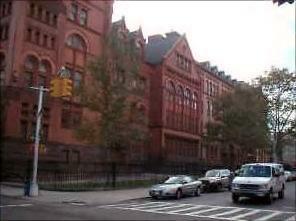 In 1992, I began my remaining lifelong rehabilitation effort when I reconnected with my veteran roots and did a stint in the VA’s detox unit in the Fort Hamilton VA Hospital in Brooklyn. It was the first of many painful but necessary steps in getting control of my life once again. In ’93, while participating in the first of those rehab efforts of the S.T.A.R. Program at North Port, Long Island VA Hospital, I met a Jesuit priest, "Father Gene," a former shotgun carrying Army chaplain veteran of Vietnam. His and the efforts of many more like him in Building 67A/B of the Narcotics Anonymous rehabilitation facility, over time, brought me still closer to containment…as there is no cure for addiction. By ’96, after three years of in-hospital, half-way house and finally unsupervised three-quarter house attention, direction and my assuming ever greater levels of responsibility and engagement with NA, I had become a speaker in support of the Narcotic Anonymous program and one of those personally assisting others. I had by ’94, familiar with both printing and business, begun a silk screening outfit of my own called Virgo Graphics. Then, in ’96, I leased a roadside catering truck which served me and my limited overhead lifestyle until July ’11. If you have PI graduation photos or information concerning any of the above individuals, please contact the site webmaster. Return to Home page, view the biographies of 1st Platoon, 2nd Platoon; 3rd Platoon ; Weapons Platoon or see Solant Amity Cruise or Santa Maria Incident related photographs. To see service and cruise related Anecdotes... both literal and photographic or a tribute to the Marines on the Hermitage. Maybe you would like to read the Comments of Marines and Sailors visiting the site or an ever-expanding array of Links & Things. Or, perhaps you would just like to see some recent photos of the Corps' Parris Island Training Center.